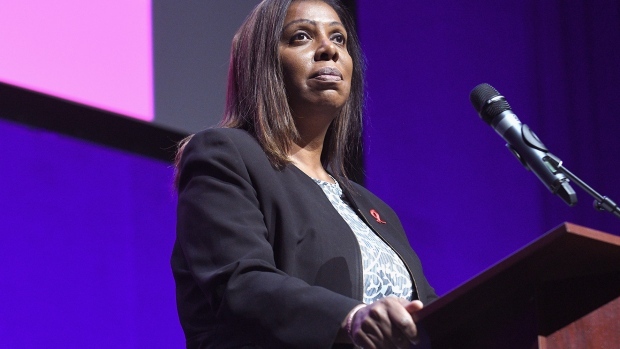 (Bloomberg) -- President Donald Trump renewed his claim that New York’s lawsuit alleging rampant financial abuses by his personal charitable organization is politically motivated, citing comments made on the campaign trail by the state’s new attorney general, Letitia James. James called Trump an “illegitimate president” in the months before her November election and vowed to “use every area of the law" to investigate the real-estate mogul, his businesses and his family, according to the filing. Statements by all three attorneys general "express clear bias and animus and constitute an unlawful appearance of impropriety."